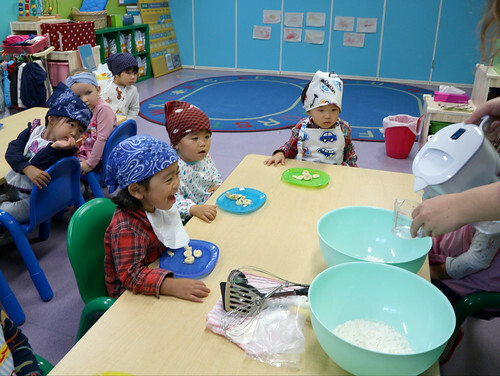 Missy Mouse Class Loves to Cook! Each month, each class has their own monthly theme. 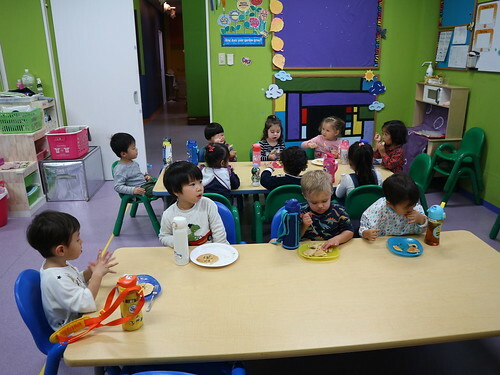 We use this as a basis for a variety of lessons, including creative play, math, English, craft, and science. 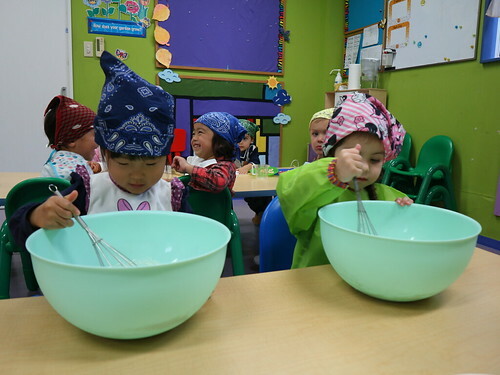 This month our theme in Missy Mouse class was food, so of course we had lots of fun cooking their own snacks. …and helped mix the batter! 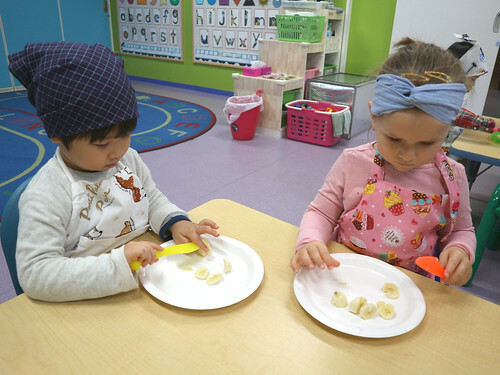 It was so rewarding to eat a special snack that we made by ourselves. 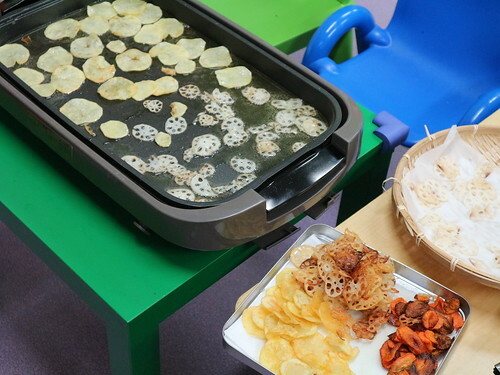 The next cooking day, we made vegetable chips. 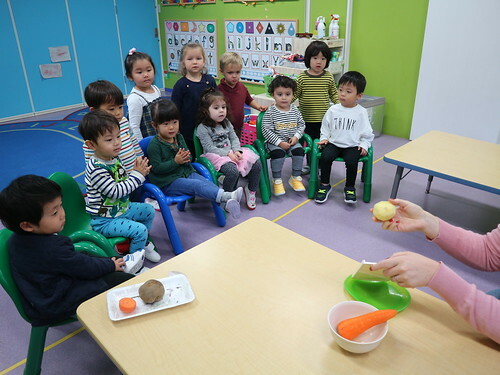 First, students explored the raw, whole vegetables… What’s this?? Then, we tasted the vegetables in their raw state before cooking. Everyone liked the sweet, crunchy carrots. Finally, we cooked the chips! Students watched as a teacher cooked the chips from a safe distance. 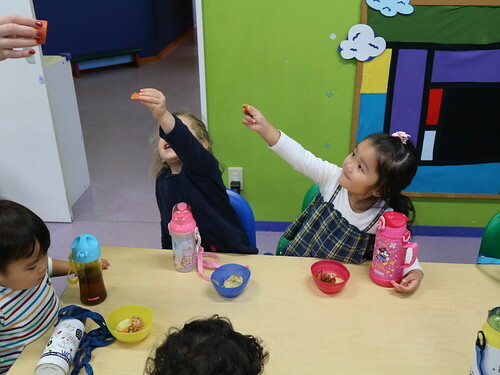 The students were able to identify what vegetable their snacks were made from. I wonder what fun activities next month will bring?